Feed air is compressed by the air compressor. The compressed air is led to the buffer tank and then to the adsorber, nitrogen, moisture, carbon dioxide and hydrocarbon in the air are adsorbed by adsorbent, product oxygen is obtained at the same time. 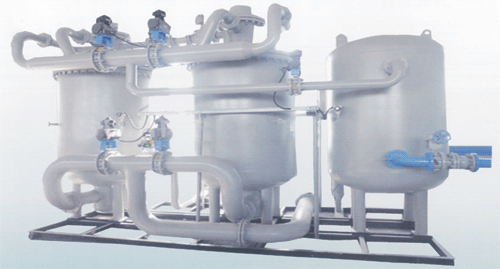 Once the adsorbent in the adsorber is saturated, the system will change over automatically, and this adsorber will be depressurized to atmospheric pressure for regeneration. 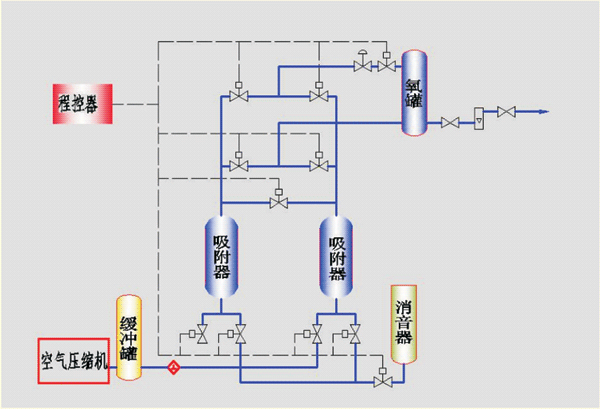 There are two adsorbers working alternatively to generate product oxygen continuously. Ammonia, methanol, ethylene and glycol production etc.